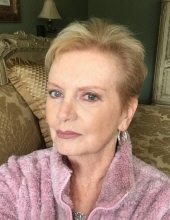 DiCanio, Linda L. 66, of Absecon, passed away after a courageous battle with cancer on November 27, 2018, surrounded by her loving family. She was born and raised in Atlantic City and was a long-time resident of Absecon. In her earlier years, Linda worked as a deputy court clerk with the Absecon Police Department. She went on to become a nurse, working in Dr. Naame’s office for several years, and lastly working with Atlanticare Behavioral Health in Egg Harbor Township. In her free time, she enjoyed crafting and decorating. She also enjoyed traveling with her husband and family, most recently to Mexico. She was an animal lover, owning several dogs throughout her life. She is predeceased by her mother, Margaret Osmun. She is survived by her husband of 37 years, Vincent DiCanio; her daughters and sons-in-law, Tara (Andress) and Michael Smith, Megan (Andress) and Daniel Dahms, Jennifer DiCanio and her husband Robert Rayner and Dawn (DiCanio) and Bryan Brodton; her sons, Vincent DiCanio, Jr., David DiCanio and Anthony DiCanio; her brother, Valentine (Wallie) Herberich; her grandchildren, Ashley, Justin, Brandon, Molli, Malia and Brady; her 5 great-grandchildren; her aunt, Elsie Getz; and her beloved dog, Sophie. A funeral mass will be offered 11AM Monday December 3, 2018 at St. Elizabeth Ann Seton Church, 591 New Jersey Ave., Absecon. Burial will follow at Holy Cross Cemetery, Mays Landing. Parsels Funeral Home, Absecon is handling arrangements. For online condolences, please visit www.parselsfh.com. To send flowers or a remembrance gift to the family of Linda L. DiCanio, please visit our Tribute Store. "Email Address" would like to share the life celebration of Linda L. DiCanio. Click on the "link" to go to share a favorite memory or leave a condolence message for the family.